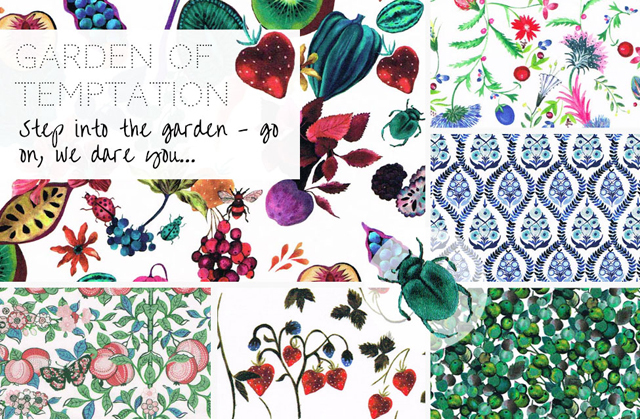 Alice Caroline is delighted to announce the arrival of two long awaited Liberty of London collections ~ the Autumn/Winter 2017 Little Land of Rhyme and Garden of Temptation collections. The Little Land of Rhyme is a wonderful and playful new collection of 16 original childrenswear designs inspired by much loved nursery rhymes. The lovely design Mary, Mary Quite Contrary shows a pretty garden scene with silver bells and bright cockleshells. 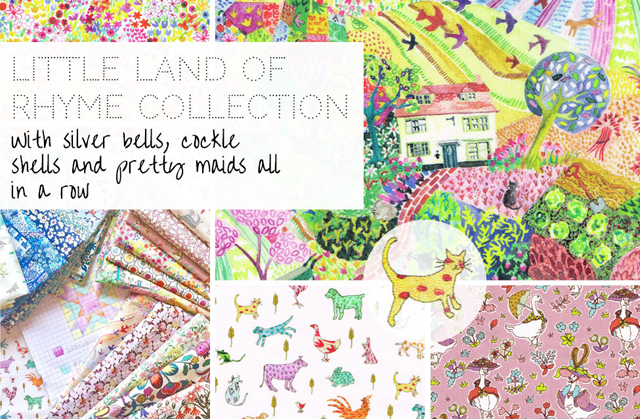 Other designs show The House That Jack Built, Farmyard Tails and Goosey Gladrags which conjure up thoughts of our childhood and are combined with brightly colored floral and meadow scenes, friendly farmyard animals, and adorable details that pop up on closer inspection. Inspired by the works of Hieronymous Bosch, the Garden of Temptation collection captures the aesthetic of a rich Renaissance fairy tale banquet. It is a celebration of ripening fruits, freshly harvested vegetables, rich indulgence and decadent delicacies. 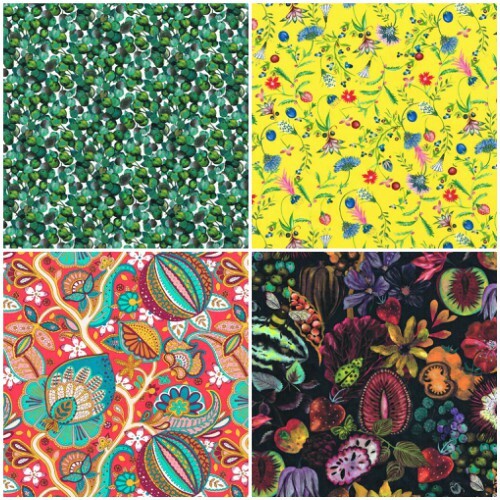 Fabrics from the collection include Floral Earth, Strawberry Fields, Temptation Meadow, Berry Dream, as well as a selection of plain Tana Lawn fabrics in vibrant colours. These two new collections could not be any more different in design style however they are alike in their attention to detail, the intensity and use of color, and as always the luxurious tana lawn base cloth. The Little Land of Rhyme is whimsically beautiful. Liberty fabrics are so luxurious to the feel; I never tire of touching them. 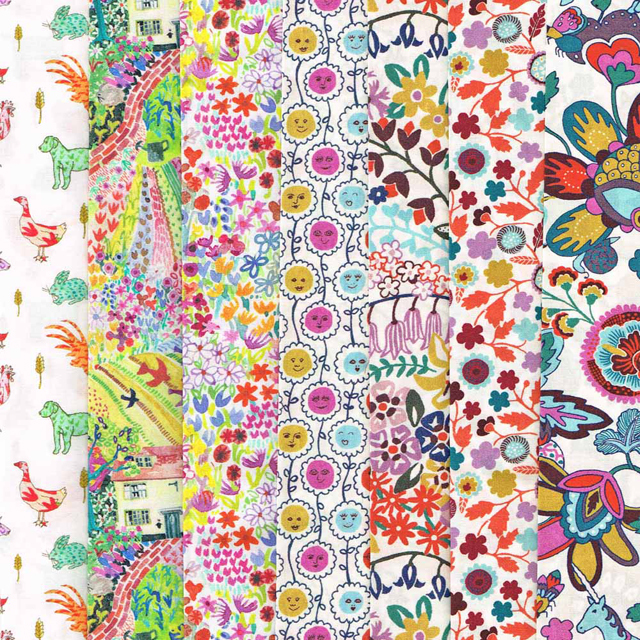 I love this group of fabrics. 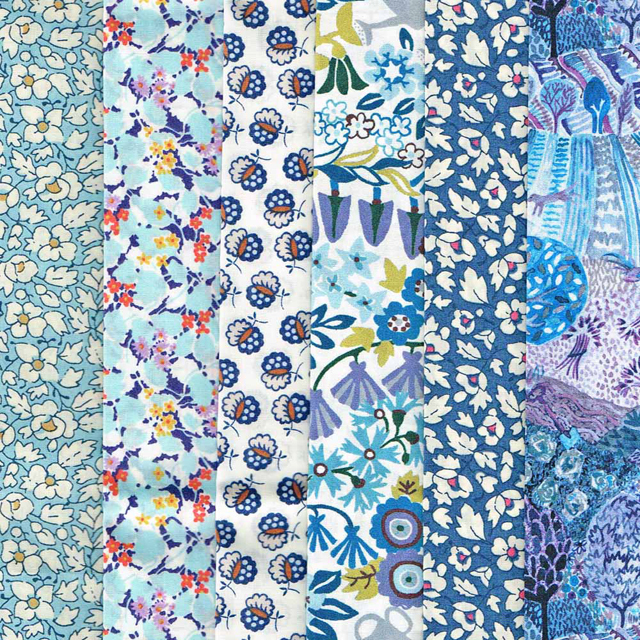 I just plain love Liberty and wish I could sew with it always.